Some Syrian women who survived Islamic State (ISIS/ISIL) atrocities have reportedly joined a newly formed all-female battalion to combat the terrorist group. Al-Bab Military Council announced on Monday the establishment of its first all-female battalion. The two-month-old council is a joint Kurdish-Arab initiative, affiliated with the Syrian Democratic Forces (SDF). This step was reportedly inspired by the experience of the SDF battalions fighting alongside the Kurdish Women’s Protection Units (YPJ). 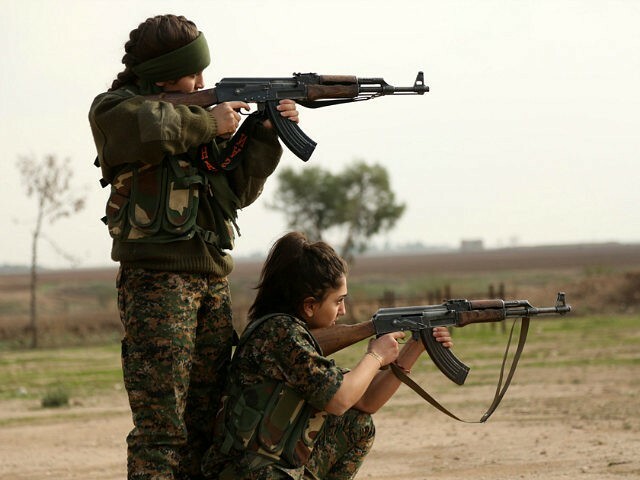 Kurdish women have fought the Islamic State (ISIS) across the length and breadth of northern Syria. Members of the all-female YPJ militia, which was formed in 2012, are fighting along the U.S.-backed SDF troops in Syria, reports the Foreign Desk. The SDF refers to a Kurdish-Arab coalition against ISIS led by the People’s Protection Units (YPG), the armed wing of the Kurdish Democratic Union Party (PYD) that controls large swathes of northern Syria. SDF fighters hope the new all-female unit will deploy soon, notes the Foreign Desk. The new female recruits are reportedly expected to participate in upcoming efforts to push ISIS out of al-Bab, a Syrian city in northern Aleppo province, it adds. Nearly 60,000 people are believed to reside in the city.